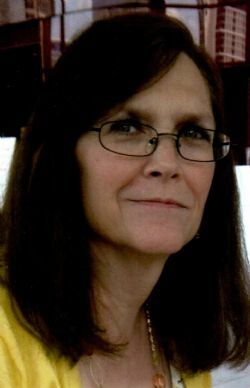 Donna Harvey Adcock, 61, of Greenville, passed away on Thursday, April 11, 2019 in Springfield, Missouri. A graveside service will be held on Monday, April 15, 2019 at 10:00 a.m. at Lone Star Cemetery in Point, Texas with Pastor Zachary Honzell officiating. Visitation will be held on Sunday, April 14, 2019 from 6:00 p.m. to 8:00 p.m. at Coker-Mathews Funeral Home. Donna was born on September 16, 1957 in Greenville, Texas to Garlon and Betty Marie Wilhite Harvey. She graduated from Greenville High School in 1976 where she was member of The Flaming Flashes. On June 25, 1976, she married Melvin Adcock in Greenville, Texas. Donna went on to receive her Bachelors and Masters degrees from East Texas State University in Commerce, Texas. She worked as a Psychologist for Terrell State Hospital until her retirement and was of the Methodist faith. Donna is survived by Melvin Adcock of Greenville; son, Eric Adcock and wife, Dr. Brittnea of Lexington, KY; brothers, Buddy Harvey and wife, Janet of Greenville, Bett Harvey and wife, Stephanie of Royse City, sister, Kari Scarbro of Cresson; granddaughter, Alexis Adcock of Lexington, KY; mother-in-law, Neva Adcock Wesson of Point, and best friends, Susan and David Herbert of Greenville. Memorials may be made to the American Heart Association/American Stroke Association, Southwest Affiliate, P. O. Box 841125, Dallas, Texas 75284.